Neurotransmitters are chemical messengers that transfer electrical messages between nerve cells. 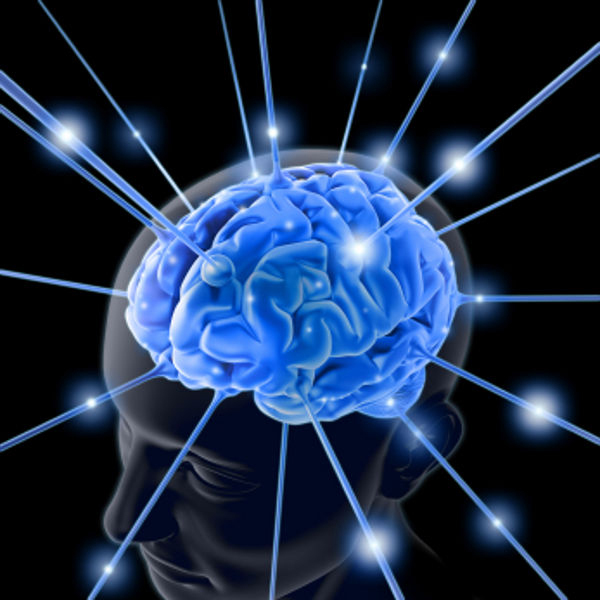 Neurotransmitter Supplement Therapy helps to reestablish and multiply this electrical flow. This improved communication can have a profound healing affect helping the brain and body to regain better function, balance and energy. In the brain alone there are 183 different neurotransmitters. When the levels of certain neurotransmitters become too low, proper electrical messages cannot take place. This deficiency and resulting decreased electrical function can result in illness and symptoms. There are over 100 diseases in which the compromise in electrical flow has been implicated. The nutritional program discussed below optimizes the master neurotransmitters, serotonin, dopamine, norepinephrine and epinephrine. It is important for master neurotransmitters like norepinephrine to be in balance because of the controlling influence they have on other neurotransmitters and hormones like Melatonin and Cortisol. Using neurotransmitter supplement therapy can help reestablish electrical flow and improve communication between cells. Though it can take months for the multiplication of this process to optimize it can have a profound healing affect that helps the brain and body to regain greater function and better balance. For some patients this may be all that is needed to control their symptoms. The use of balanced nutritional supplement formulas (containing 99% pure 5-HTP) is a very effective approach for the repletion of neurotransmitters in symptomatic patients. This is a research based approach using a clinical database to help guide the use of supplements to higher level of accuracy. Using this science helps individualize every nutritional program. Amino acids should be given in balance. Research has shown that when amino acids are given improperly they can actually deplete other neurotransmitters in the system. Ironically, medications that work on neurotransmitters also deplete them by causing increased MOA and COMT enzyme activity. When this increased enzyme activity breaks down more neurotransmitters it can result in further depletion. It will takes days or weeks for an initial response after starting or changing supplement dosages. Some patients will feel better in the first week. A baseline test is not required before starting the program. The first test is done 2-3 months after starting on the supplement program and just like the starting supplement dosage, testing will be different for each individual. The test is a simple home test requiring just a single urine sample. When the balance of serotonin and dopamine improves, dopamine can more easily convert down the pathway into norepinephrine and then epinephrine. After months of correction, improved epinephrine levels will result in a better balance of energy for the brain and body. This is a program that must be monitored, not just supplements that you take! Bringing neurotransmitters into balance and maintaining the balance will require periodic testing. The best long term benefits are achieved when precise dosing changes during this period of correction are guided by test results. Dr. James R. Eells specializes in treating a whole host of disorders that stem from low neurotransmitter levels, namely serotonin and dopamine. Such disorders include depression, anxiety, insomnia, chronic fatigue, fibromyalgia, migraines, cognitive impairment, Alzheimer's, Parkinson's, IBS, Crohn's disease, tremor, restless leg syndrome and more. Treatment is very holistic, it involves scientifically administering precursors such as 5-htp, tyrosine, cysteine and l-dopa which the brain uses to produce serotonin and dopamine naturally. It is extremely effective with none of the downside of prescription medication. Dr. James R. Eells is an internal medicine physician. Fifty percent of what he does is mental health related. A patients complaint of back pain might really be stress related. Dr. James R. Eells believes that naturally restoring the normal function of the brain resolves the need for prescription medication. His practice follows the Concierge model. Insurance companies reimburse so little that the extra fee allows us to provide superior care and service. Neuro-restoration medicine is very complex and requires a very close doctor-patient relationship. His staff members are very caring and attentive. Las Vegas Concierge Doctor - Neurotransmitter Disorder Treatment & Depression Disorder Treatment. Amino Acids Management of serotonin & dopamine. © 2017 | Las Vegas Concierge Doctor - Neurotransmitter Disorder Treatment & Depression Disorder Treatment. Amino Acids Management of serotonin & dopamine.